Hot apple cider, hot chocolate or a good local beer! Whatever your beverage we’ll have it waiting for you as you sit around our wood burning fireplace. The Inn’s once a year special offer is almost over. Any available guest room for half price (excluding taxes). Be sure to mention this special when booking. 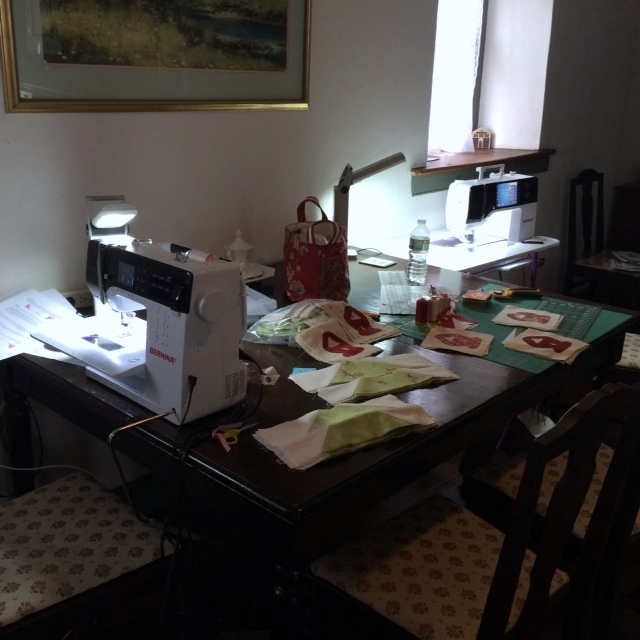 Sisters enjoy a quilting weekend at the Covered Bridge Cottage. Open floorplan allows you to use all the space you need. Thanks, Eileen for the pictures.